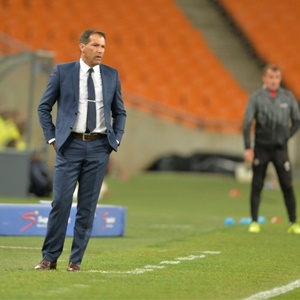 Cape Town - Platinum Stars and Bloemfontein Celtic played out to a goalless draw in a game of few chances at the Royal Bafokeng Stadium on Wednesday. It was the hosts who came closest inside the opening 10 minutes as Mere broke forward but saw his stinging strike well saved by Patrick Tignyemb in goal. Both defences were dominating and there was little quality on display in terms of creating openings in the final third for much of the first half. After the interval, Zambia international Mwila found the back of the net but celebrations were cut short as his effort was ruled out for offside. With both teams continuing to struggle to break each other down, Ng'ambi was put clear through on goal but fired his strike over the bar in the 70th minute. The visitors were rarely a threat throughout the contest with Stars dominating possession, though second-half substitute Mahlasela nearly took advantage of a defensive error. However, his fizzing shot on target was saved well by Bongani Mzimela. It opened up slightly in the final 15 minutes although it would be Ng'ambi who had the best chance to seal the points for Roger de Sa's men. After being played through on goal with just Tignyemb to beat, he somehow put the ball wide as it ended 0-0 in Phokeng.